Skilled readers make inferences in order to connect the ideas contained within a text. Authors often assume knowledge and readers need to infer the author’s intention even when it is not explicitly stated. The research shows a high correlation between reading comprehension and inferencing skills (Oakhill & Cain, 2007). Inferring also requires prior knowledge of a particular topic. To help develop this knowledge each unit focuses on a particular topic and each piece of text provides further information on that topic. Students inferential skills are developed in several ways. 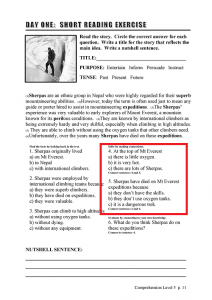 In the short reading text they are explicitly directed to sentences which will help them make the connections need to answer the question and then this strategy is applied in the extended reading text questions without the scaffolding. 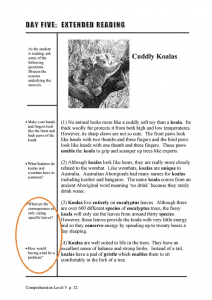 In addition, throughout the extended reading text, students are asked questions which will help them make the links necessary to understand the text. Oakhill, J. & Cain, K. (2007). Children’s comprehension problems in oral and written language: A cognitive perspective. New York: Guilford Press.